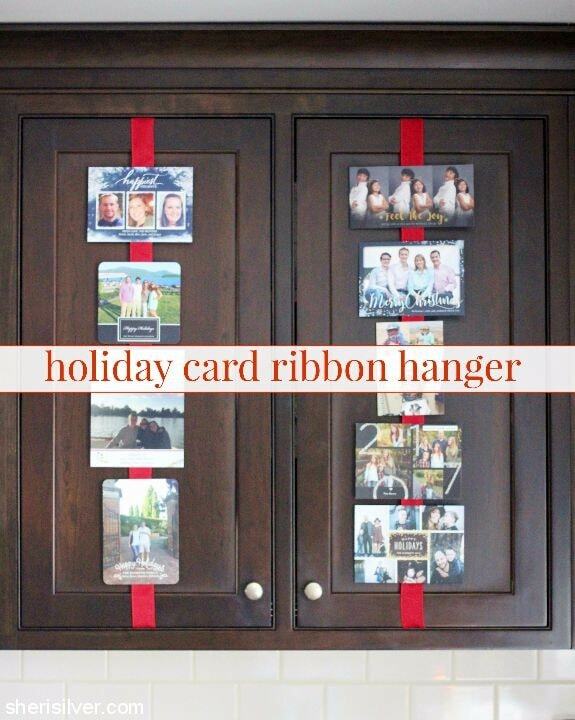 favor-“ette”: holiday card ribbon hanger! The week after Thanksgiving they start arriving. And by “they”, I mean the never-ending stream of holiday cards. 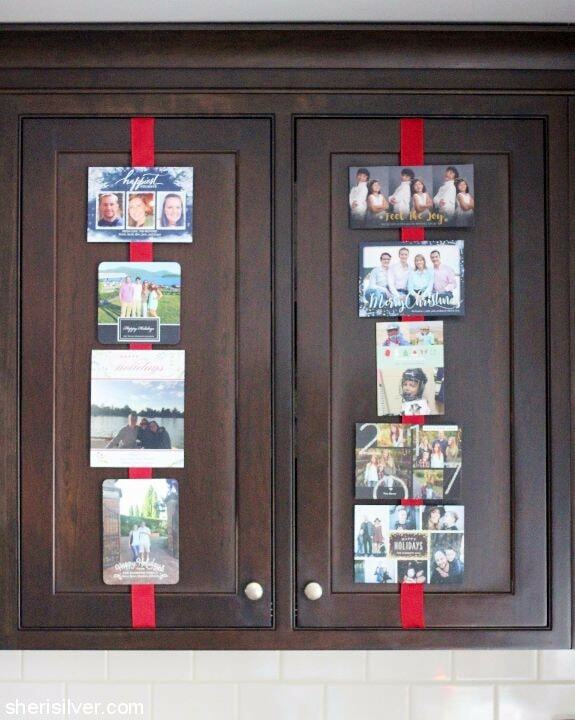 Simply cut ribbon – of any style, width or color – long enough to wrap around your cabinet doors. Affix the ends to the backsides of the doors with removable adhesive dots, and use more dots to attach the cards to the fronts. 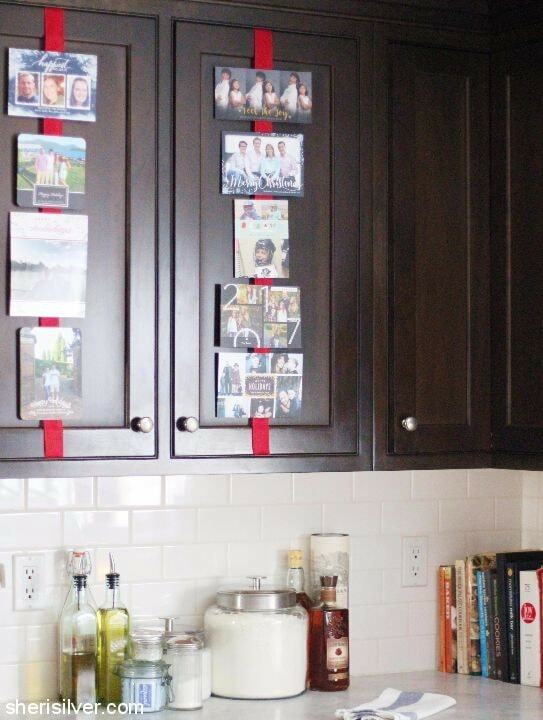 I love this idea for SO many reasons – first of all, could it be any easier? 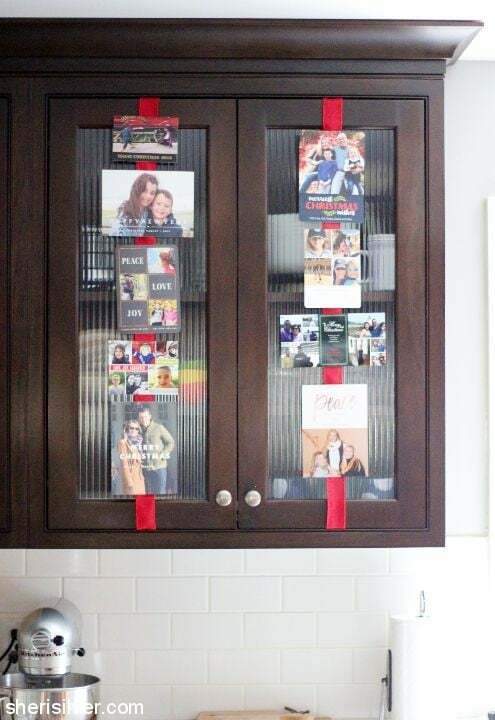 And look how “dressed up” those cabinets look – perfect for the holidays! 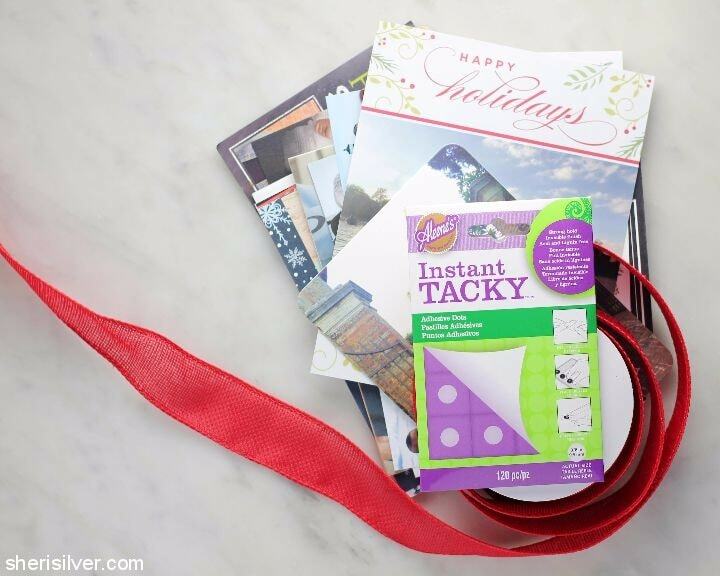 You can re-use your ribbon from year to year, or switch things up (I’m on the hunt this year for some burlap ribbon for a more natural look).